- Touching on subjects such as genres in music, DIY recording, having fun with microphones, how to jam and be in bands, and playing to all of your favourite songs. Jaymee has spent the past ten years performing and recording in numerous musical projects, including touring with Australian songstress, Emma Louise. These tours included supporting world famous artist, Sam Smith on his sold out arena tours through Aus and NZ, and performing at festivals such as Splendour in the Grass, Groovin the Moo, and Beyond The Valley. 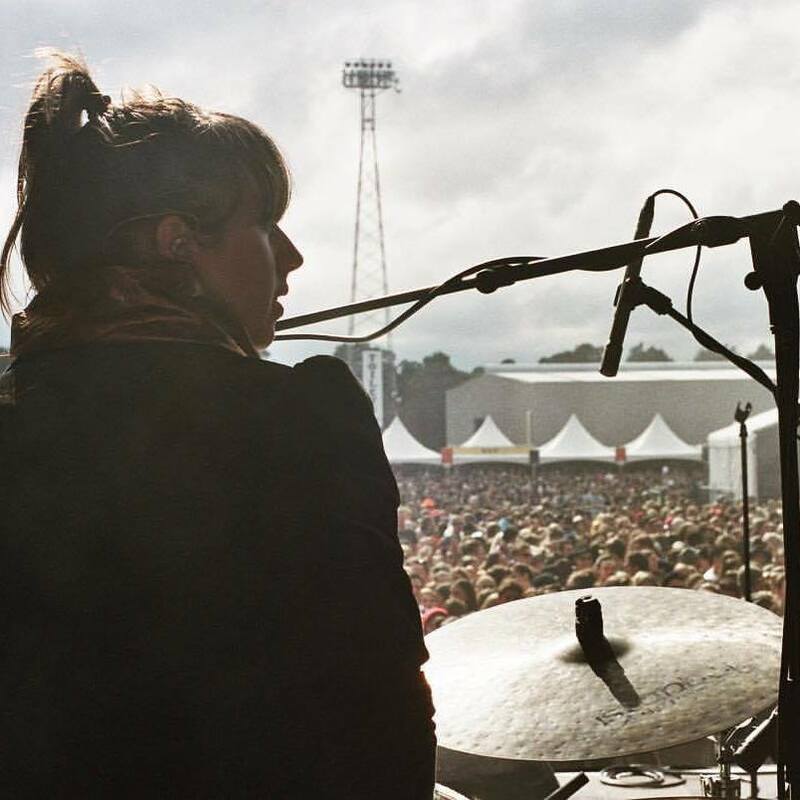 Jaymee has also flown to Europe on numerous occasions as Emma’s tour manager and drummer, and also to attend the making of Emma’s album, Supercry, in France. She has also played in many different musical projects spanning rock, folk, disco, gypsy, country, blues, pop and funk. Prior to her teaching career, Jaymee spent years working as a nanny, and is well acquainted with the little ones of all ages. She holds a current Blue Card. Jaymee has also taught people with learning and behavioural difficulties and anxiety disorders, and develops a deep and caring connection with every one of her students. Below are videos of two of Jaymee’s drum students performing a song they learnt (back when the school was called Tucker Shake Music School).